They're no fun to dig, but that's no excuse for digging them wrong. 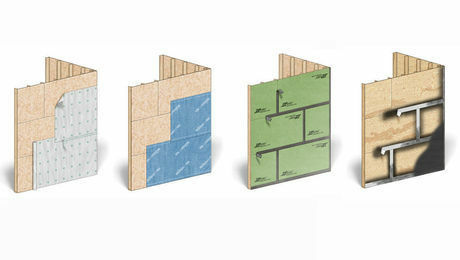 Building codes cover most of the basics about footing size, frost depth, and the bearing capacity of soil and concrete. Codes don’t, however, tell how to dig a proper footing hole. 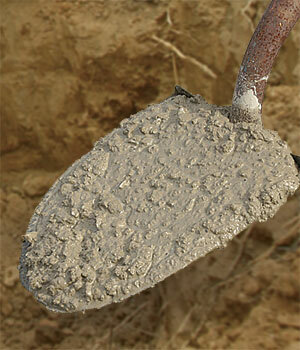 A good hole is smooth, straight, and flat-bottomed; includes a footing form; and avoids the pitfalls below. NO FORM: The smooth sides of a footing form minimize soil friction and act as a bond break, preventing heaving. If you don’t use a form, concrete assumes the uneven shape of the soil. 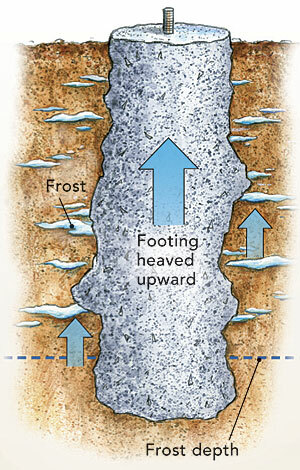 Frost can “grab” the rough sides and heave a footing even if the bottom is below the frost line. SLANTED: The force on a slanted footing loads the side rather than the bottom of the footing, causing it to sink and rotate. Also, frost can heave up against the side. 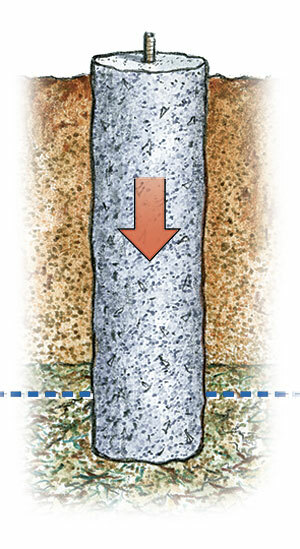 INWARD TAPER/FLARED TOP: Footing forms prevent inverted-cone and mushroom shapes, the worst designs for footings. These shapes often have narrow bases that can sink under load, and frost pressing upward on the top can tilt the footing. Footing forms alleviate the problem even when the hole is dug overly wide at the top. 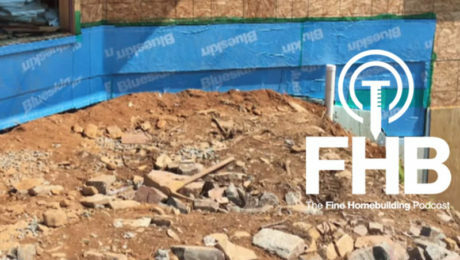 DEBRIS: Rocks, roots, pipes, and other projections that impinge on the straight sides of footings can give purchase for frost to heave or tilt footings. They also leave defects in the footing that can lead to concrete fractures. 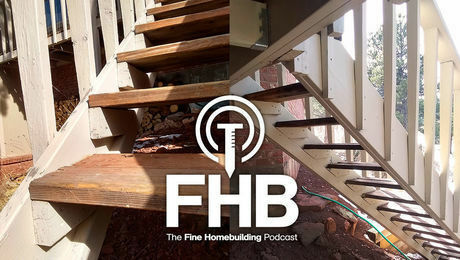 TOO SHALLOW: Decks connected to a house must be supported by footings that reach the frost line, the point below which the ground won’t freeze. Otherwise, when moisture in the earth freezes and expands, it can push shallow footings upward. Frost depths vary, so check the local building department for your conditions. 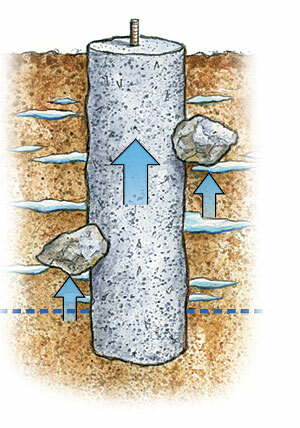 ROUNDED/POINTED BASE: Footings are designed with flat bottoms for a good reason. If you dig them with round or pointed bottoms, then add a load, they can act like arrowheads piercing the soil. 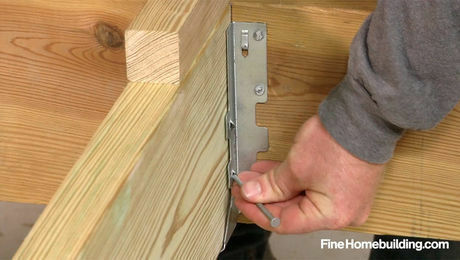 Make the bottom of the footing hole the same size as the footing form or larger. The bottom also must be flat and close to level. UNSTABLE SOIL: Topsoil (loam) contains organic material (decayed plant matter and unconsolidated mineral matter) and a lot of air. Highly compressible and unstable, it can’t reliably support a load. Footings must be dug through the topsoil, which can be several feet thick, even if that means going well past the frost line. DISTURBED BASE: Footings can’t rest on earth that has been disturbed by digging, even if that excavation took place many years ago. 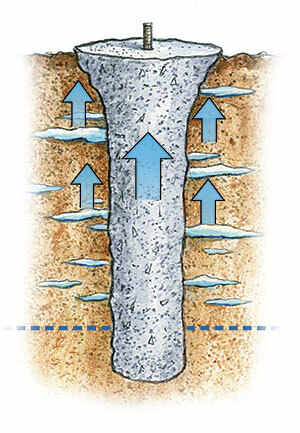 This is especially problematic for footings dug near a foundation wall. 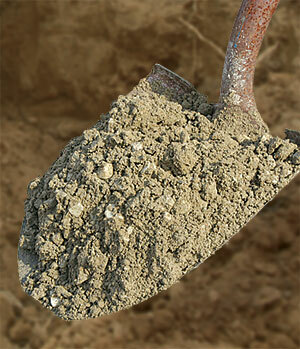 Even the couple of inches of loose soil at the bottom of a freshly dug hole must be removed or compacted by tamping. 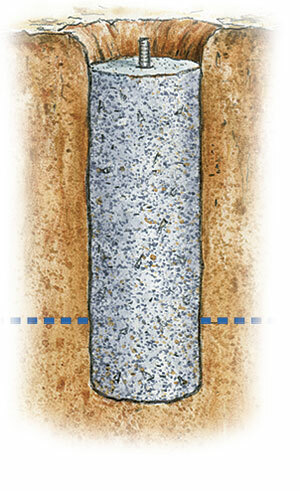 The minimum compressive strength of concrete used for footings should be 2500 psi. Air pockets and other defects can reduce compressive strength, so the importance of properly mixing and placing concrete can’t be overlooked. 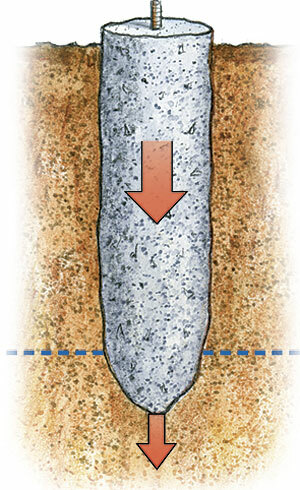 TOO DRY: A stiff, dry mix may not consolidate fully, so the footing could be left with air pockets and fracture lines that can lead the footing to crumble under load. 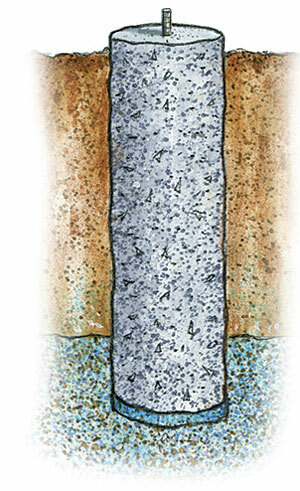 TOO WET: Soupy concrete dilutes compressive strength. As the extra water dries away, tiny holes remain and weaken the concrete. 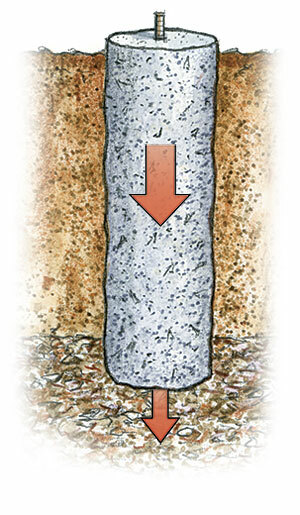 Soil contamination: Soil can inadvertently fall into the concrete during placement, especially on footings that are poured directly into holes without forms. 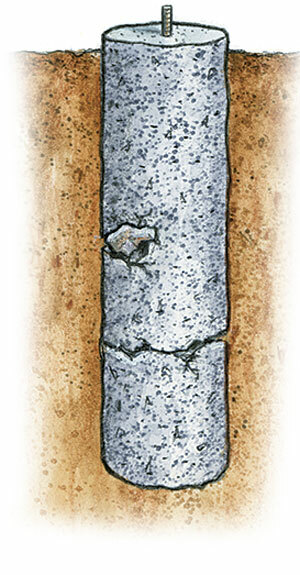 Soil contamination can weaken concrete and leave fracture lines. 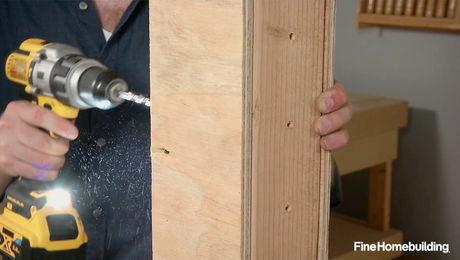 Use a footing form that’s at least several inches above grade to avoid contamination. FOOTING TOP BELOW GRADE: Footings poured so that the concrete is below grade invite surrounding dirt to fill over the top. 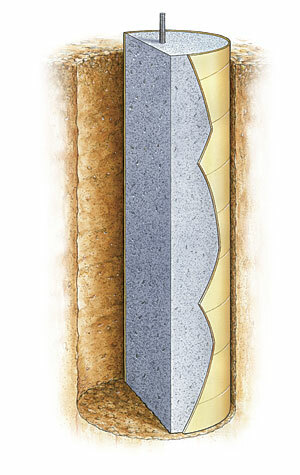 This puts the post-base connector at risk of corrosion and the post itself at greater risk of decay. Pour the footing at least 4 in. higher than grade. 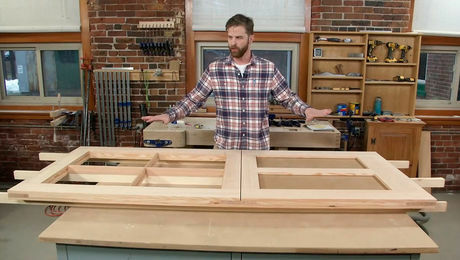 UNEVEN TOPS: It’s hard to plumb and secure a post base properly on top of a footing with a sloped top. 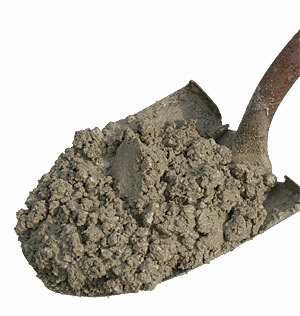 Make sure to screed and level off the top of the concrete before it cures. 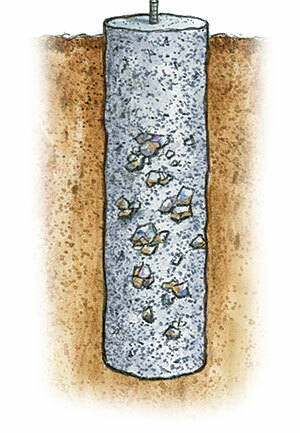 ROCKS IN THE MIX: Avoid the temptation to toss stones into the concrete pour. Soil on the stones will prevent the concrete from bonding, and there’s also a risk of creating air pockets and weak spots. 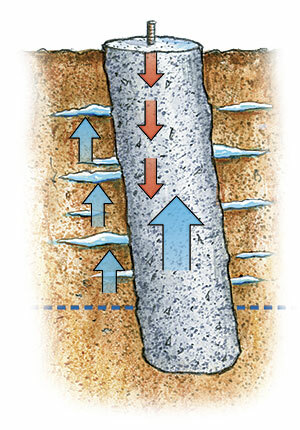 AIR POCKETS/COLD JOINTS: This problem often occurs when using a stiff concrete mix, when a pour is interrupted and fresh concrete is placed on top of curing concrete, or when large aggregate doesn’t consolidate into the mix. Don’t pause for more than 15 minutes during each pour, and vibrate or rod the concrete to ensure that layers are intermixed. 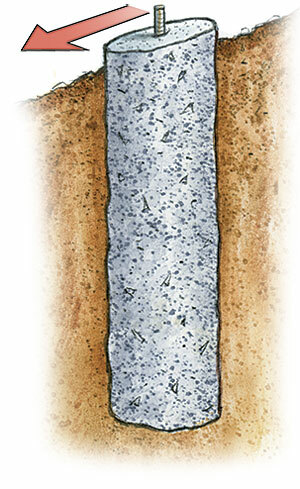 WATER INFILTRATION: If you hit water as you dig the footing holes or leave rainwater in a footing hole before pouring, the concrete will be contaminated and weak. 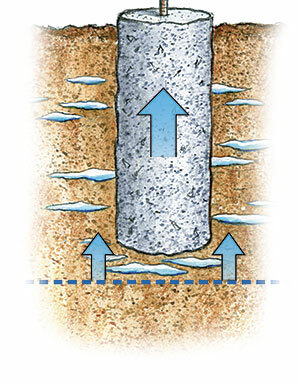 Water must either be removed from the hole, or the concrete must be isolated from the water by using a plastic bag or waterproof footing form. By Mike Guertin. Drawings: Don Mannes. Photos: Dan Thornton.